Awhile back I complained about my beard deficiency and my resulting theological conundrum. But I’m a firm believer that when God takes one thing away from you, he loves to give you something better. So I’ve found my beardless blessing: the greatest shave known to man. Although the current fad is to see the shaved face as somewhat emasculated, I’ve discovered that the gentleman’s shave is one of the most awesome experiences ever. So I’m sharing my process here. You can do this with a hot shower or using a super hot washcloth. Getting your face hot opens the pores and eliminates much of the pain of shaving. Rubbing a little oil against the grain keeps the hair upright and makes the shave smoother. I’m not talking WD-40 here…I use The Art of Shaving’s pre-shave oil. This only takes a second. You can use the old soap and mug thing, but I use The Art of Shaving’s cream. It lathers up fast on your face, saving all the mess. If you end up using this particular brand, you should note that it only takes a tiny amount (maybe half the size of an M&M) to get an epic lather. Don’t forget a good brush. I prefer a good badger hair brush. It will make the lather nice and thick. This one is pretty popular. With the brush, you’ll need a stand to let it drip and air-dry. This step made a huge difference for me. Getting rid of the nasty stuff that comes in the can helped my razor burn drop to nearly nil. I’m rocking the Merkur Long-Handled Safety Razor with the Merkur blades. And check it out, you can pick up 100 blades for the cost of something like 8 of the cartridges for your quadruple-blade-vibrating-aloe-caked-mostly-plastic doohickey. I’ll admit that it was scary for the first couple times, but after that you’ll feel like John Wayne as you heat up your razor and make a clean shave. Remember: shave *with* the grain and take time to make several passes. In the end, you’ll end up with a *very* close shave. Some guys can do an against the grain shave, but start it on a trial basis and see how it works for you. If you’re using the safety razor, let the weight of the tool do the work and take your time. Getting rid of the old Gillette with the aloe pads that fill up with crud keeps my pores clean and keeps the razor burn at a minimum. It’s well worth the extra few seconds it takes with the single blade. A single blade also makes those precision cuts for beards or sideburns a cinch. If you’re rushing and nick yourself, don’t fear. A little styptic pencil will congeal the blood and get you going in no time. Rinse your face in clean cold water. This will cleanse and close the pores, keeping your face fresh and healthy. Then a good aftershave will help keep your skin in great condition. Hope this helps you guys. Go man-up and enjoy a clean shave! It’ll change your life (maybe). Shout out to my wife, Laurel, for the razor and shaving kit. You’re awesome! Easter: Invitation to Something Greater than this Life! When I think about what the resurrection means to me, I guess there’s a lot that comes to mind. There’s the historical aspect of the resurrection which marked out Jesus to be the Son of God and ignited the Christian faith around two-thousand years ago. Without the historical fact of the resurrection, every deed of charity or sacrifice or martyrdom is worthless. This resurrection event was no claim that was added to the doctrine of the Church some centuries after Jesus died (giving them time to fabricate a myth about him). No, this was a central claim that was made from the earliest claims of Jesus’ followers and was able to be verified by those who lived contemporaneously with Jesus of Nazareth (see 1 Corinthians 15). 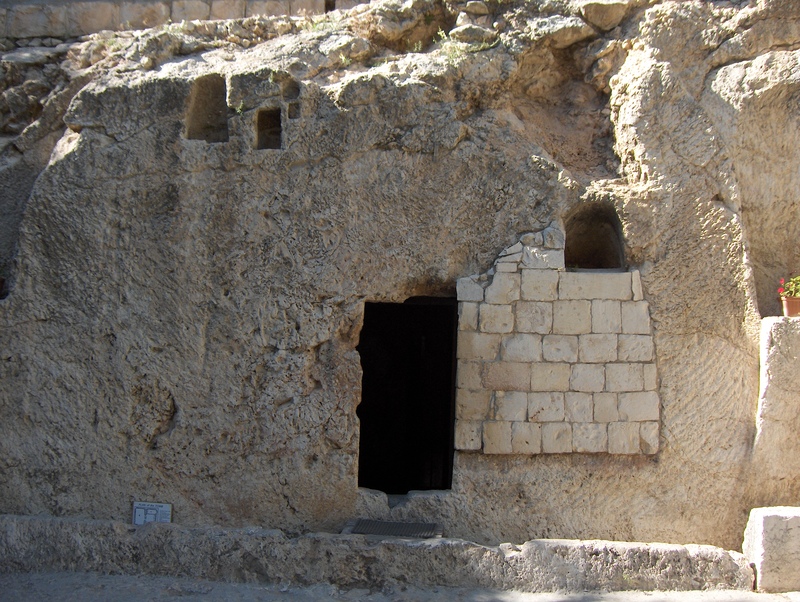 But the resurrection is so much more than just a historical fact. The resurrection is God’s declaration that He has won. It is something of an invitation too. Easter is the audacious claim that God not only defeated sin and death and Satan, but that He invites us to win with Him too! We are offered the chance to identify with Jesus in His resurrection and victory. Maybe there is something in this suggestion that gives me hope of something greater and better. Everything I see around me passes from life to death with no hope of change for the better. But in the resurrection I see death rise into life and hope suddenly restored again. It is a hope that I’m not resigned to staying the way I am because I was “born this way,” but that I might be re-born and re-made. It is hope that the death-cycle is broken. It is hope that something greater than my greatest imaginings is in store. Sometimes it frustrates me that I cannot grow a decent beard. I can get a little scruffy and aggravate my wife with my 48 hour shadow, but that’s about it. Genetics have conspired against me so that I cannot fully achieve that primeval mark of manhood. I suppose that this frustrating aspect of my physiology is not the worst defect, but I suppose it to be a defect nonetheless. It seems unfortunate that I will never be able to experience the delight of finding yesterday’s food lodged somewhere around my chin or being able to look 10 years older. All of these experiences and more will never be mine. As I meditated on these thoughts, I realized that there was a larger and deeper issue in play. This issue is beyond physiological, or experiential import. This issue is a theological issue. 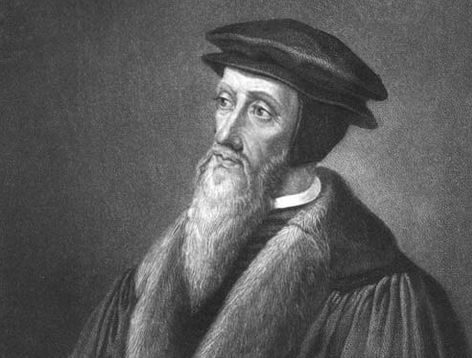 Yesterday I realized that I could never be a very good Calvinist.